I’m going to get into trouble for this post for a couple of reasons. First, It is a photo of my grandson, Thomas Connor Lussier, but not really. 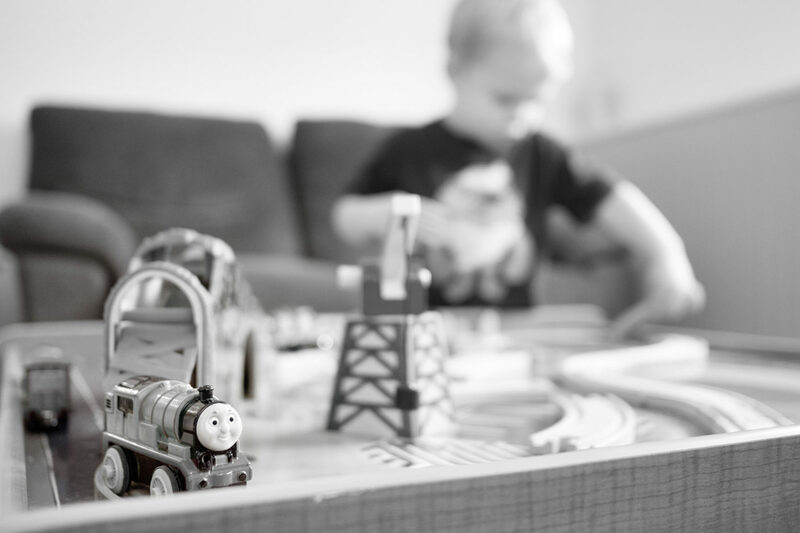 The focus is not on Connor, but on his latest favorite toy, Thomas the Tank Engine. For that reason, it made the image for me. Kids are great. Kids are cute. I love taking photos of kids, especially my grandson. But I think what makes a kid are the the things the kid loves. I think for every few photos of a kid’s cute face (and I have more than a few of Connor), there should be a photo like this. The other reason I am in trouble is because this will make it to Facebook before I send it to my Daughter-inLaw, Jess. Sorry Jess. It was a long night! I’ll send you some images tomorrow!